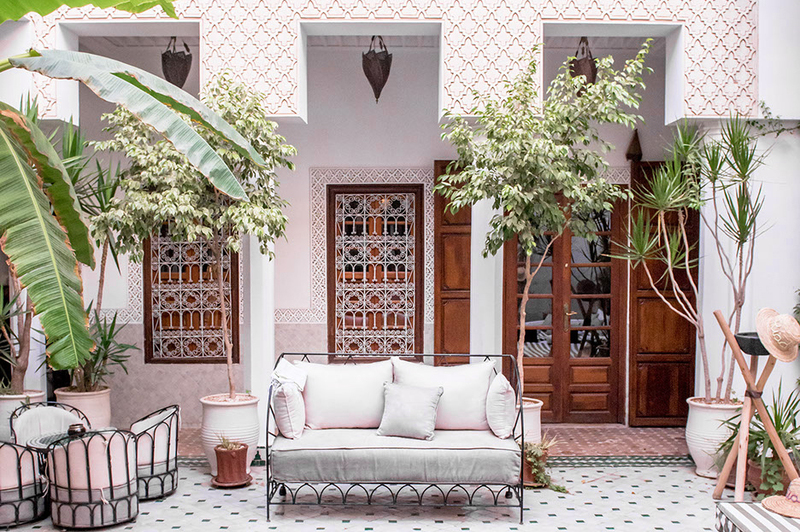 This charming boutique hotel is a haven of peace inside the bustling streets of the medina in Marrakech. The 7 Moorish rooms and suites are built around a central courtyard with a refreshing pool and lounge on the main floor. Relax on the large rooftop terrace and take in the stunning views of the medina, the Koutouia, Medersa Ben Youssef and the snow-capped Atlas Mountains or lounge by the fireplace in the living room. Combining authentic charm, discreet luxury and a contemporary atmosphere, the traditional riad in a timeless sanctuary to enjoy the days away.